In the grand scheme of a career, four years is not always a long stretch. 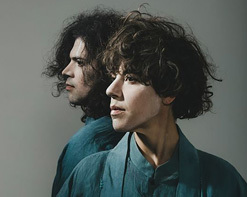 But for fans of Tune-Yards, it’s been four years since the release of Nikki Nack and they’re chomping at the bit for new music. As expected, the music world is abuzz about I can feel you creep into my private life (1/19/18 via 4AD), the brand new album from Tune-Yards’ brainchild Merrill Garbus. From her humble New England beginnings that saw her first album self-released on recycled cassettes to reaching #4 on the US Billboard Alternative charts with Nikki Nack, it’s been a steady climb both critically and commercially for Tune-Yards. Thematically, the twelve new songs on I can feel you creep into my private life tackle race, politics, intersectional feminism and environmental prophecies head on. But in the billows of intense subject matter, the album arrives as Tune-Yards’ most immediate and upbeat music yet – this is music to dance to. With the upcoming release of I can feel you creep into my private life, the excitement is palpable here at HIP Video Promo to have the chance to bring you the “Heart Attack” video and also work with the 4AD once again. Please don’t hesitate to be in touch with us here at HIP Video Promo to let us know what we can do to help get this video into your programming. Call (732)-613-1779, email us at info@HIPVideoPromo.com or visit www.Tune-Yards.com or www.4AD.com for more info on Tune-Yards.